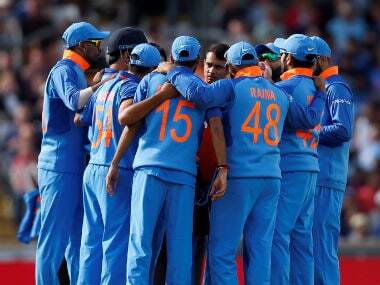 India have emerged victorious in their five match ODI series against New Zealand with a 3-2 scoreline. Here are Firstpost's marks out of 10 for the Indian team. Ajinkya Rahane: 4 — One half-century in five matches, 143 runs, and an average of 28.6 represents a pretty poor series from Rahane. The one 50 he made was also in a losing cause, in the fourth ODI in Ranchi. Considering he got the runs at a strike-rate of 70.79, this won't be a series he remembers fondly from a personal point of view. Rohit Sharma: 5 — Rahane's opening partner would have got even lower marks if not for a match-winning 70 in the final match of the series in Vizag. Before that knock, he had gone through four innings with scores between 11 and 14. He looked very ropey against the swing and seam bowling of Trent Boult, Tim Southee, Doug Bracewell and Jimmy Neesham. The one time he survived that early onslaught, he went on to make a telling contribution, but all in all, he too had a poor series. Virat Kohli: 10 — Another amazing series from the best limited overs player in the world, maybe even the best limited overs player ever. He scored 358 runs, and every time he crossed 50, India won. He averaged 119.33 at better than a run a ball and made an outstanding 154 not out when India were chasing 285 in Mohali. He is a batting phenomenon and he is getting better. Manish Pandey: 4 — With just 76 runs in his five innings with a highest score of 28 not out, Pandey is another top-order batsman who has Kohli to thank for. Pandey is a better batsman than those numbers show, and he will come good in the future. However, this was a poor showing. MS Dhoni: 7 — A decent, if not spectacular, series from India's ODI captan. 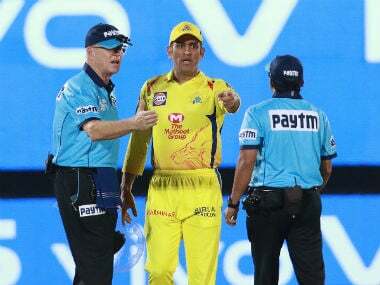 An excellent 80 in Mohali that was part of a match-winning partnership with Kohli was Dhoni's best innings, but there were times when he spent too long getting himself set, only to get out before he could accelerate. His wicket-keeping was superb throughout and he pulled off a great no look run-out in Ranchi that was a joy to behold. Kehar Jadhav: 8 — A solid all-round series from Jadhav made him as responsible as anyone bar Kohli (and Amit Mishra) for India's series win. His 41 in the second ODI was nearly enough to guide his team to victory, and his 39 not-out in the final match helped set up a winning total. With the ball, he claimed important wickets and went at just 4.05 runs an over. Only Umesh Yadev and Amit Mishra claimed more wickets. Axar Patel: 7 — Another tidy series from Axar Patel, who has cemented his place as one of the first names on the teamsheet for India in white ball cricket. He made a career best 38 with the bat when promoted up the order in the fourth ODI, but his real success was with the ball. He only claimed four wickets, but he conceded just 4.05 runs across 43.1 overs. Hardik Pandya: 5 — This was a poor series from Pandya who struggled with the bat and was expensive with the ball. He managed figures of three for 31 in the first ODI in Dharamsala, when he opened the bowling, but struggled after that. His series economy rate was 5.42 and he picked up just one wicket after the Dharamsala match. With the bat, he only got two chances, top scoring with 36. He was left out for the final ODI, when Jayant Yadav was given a debut in more spin-friendly conditions. Amit Mishra: 9 — Mishra was a deserving man-of-the-series recipient, with his leg-spin accounting for 15 wickets at an average of 14.33 and an economy rate of 4.79 an over. In the final ODI, he bowled a remarkable spell of 5/18, that helped shoot New Zealand out for 79. He bowled the odd boundary ball, but he took one wicket every third over in this series. Jasprit Bumrah: 7 — Bumrah's chest-on, straight-armed technique is perfect for ODI cricket. He has decent changes of pace, and his nagging off-stump line makes it really difficult to score off him at the beginning and the end of innings. This series, he ended up with six wickets at 22 and an economy rate of 4.04 an over. He was badly missed when injury ruled him out of the fourth match. Umesh Yadav: 6 — Consistently the quickest bowler on both sides, Yadav was a wicket-taking threat with the new ball. But he was expensive. Of the Indian bowlers that played in more than one match, he had the worst economy rate of 5.75 runs per over. Claimed eight wickets that cost him 29.5 runs a piece. He was decent, but no better. Dhawal Kulkarni: 3 — Played just the one match, the fourth ODI in Ranchi, where he took one for 59 in seven overs. Jayant Yadav: 5 — Played one match, the final ODI on Saturday, and took one for eight off four overs.